Taiwan Semiconductor Manufacturing Co (TSMC) has forecast quarterly revenue sharply below projections, underscoring the deepening slowdown in both iPhone sales and the global economy. Apple’s main chip maker foresees revenue of US$7.3-billion to $7.4-billion this quarter, trailing the $8.1-billion average of analysts’ estimates. That marks the worst growth in at least a decade. It predicted a gross margin at least 2.5 percentage points below projections. TSMC is showing the strains of the plateauing smartphone market as Apple, its biggest customer, slashed its sales outlook and other vendors grapple with weaker demand ahead of new 5G wireless networks. While the Hsinchu, Taiwan-based company is counting on high-performance computing to drive future growth, it’s grappling with a slide in cryptocurrency chips and challenges surrounding another client, Huawei Technologies. By dint of its enormous size and reach, TSMC is seen as a bellwether for the semiconductor industry. It trimmed the top of its forecast for capital spending by $1-billion and has now earmarked $10-billion to $11-billion, about level with last year. TSMC reported net income of NT$100-billion ($3.2-billion) in the three months ended December, just marginally higher than a year earlier. That compares to the NT$99.1-billion average of estimates compiled by Bloomberg. But gross margin of 47.7% trailed projections for 48.2%. It previously reported a 4.4% rise in fourth-quarter revenue to NT$289.8-billion. 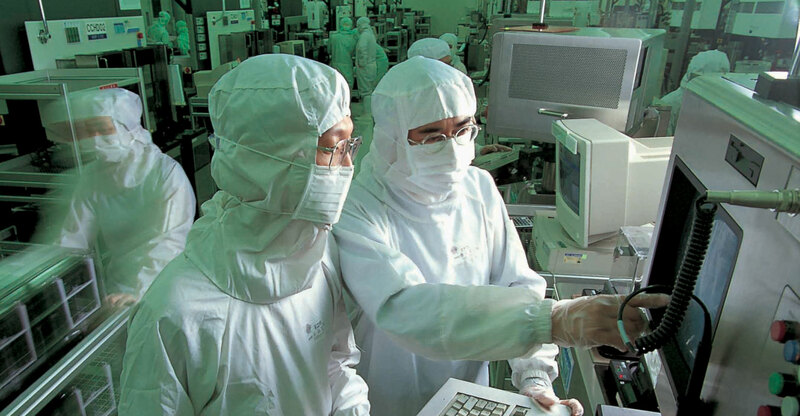 Huawei, the Chinese smartphone and network gear maker, is TSMC’s second largest customer. The Shenzhen-based company faces accusations of breaching US sanctions on Iran, allegations of spying and efforts by some Western countries to block it from 5G networks. The company has denied those accusations.